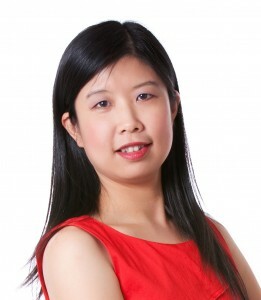 Wu-Lebron spent the past 10 years of her career contributing to OfficeDepot’s eCommerce ascent. Her previous roles within the company spanned from Senior Manager of IT Compliance to Head of Operations and Marketing for a pure play online venture. She attributes OfficeDepot’s success to a keen awareness of search technology and consumer behavior. But, Wu-Lebron wasn’t only referring to text-based content. Wu-Lebron delivered an IRWD presentation entitled, “Revving Up Your Retail Website with Online Video.” Partnering with Invodo’s CEO, Craig Wax, Wu-Lebron discussed both the strategies and benefits of using video content on eCommerce websites. Wu-Lebron and Wax emphasized the importance of catering to onsite visitors and consistently finding ways to improve shoppers’ experience. “Customers want to get in and get out,” said Wu-Lebron. “They really want things that will grab their attention. Technology holds the key to this. Wax suggests catering to people’s reliance upon visual learning by utilizing video to aid shoppers’ understanding of a product. He used the example of explaining the laws of gravity via a complex formula vs demonstrating its effects with a video of a watermelon falling from a roof. Obviously, the latter is something everyone can comprehend. 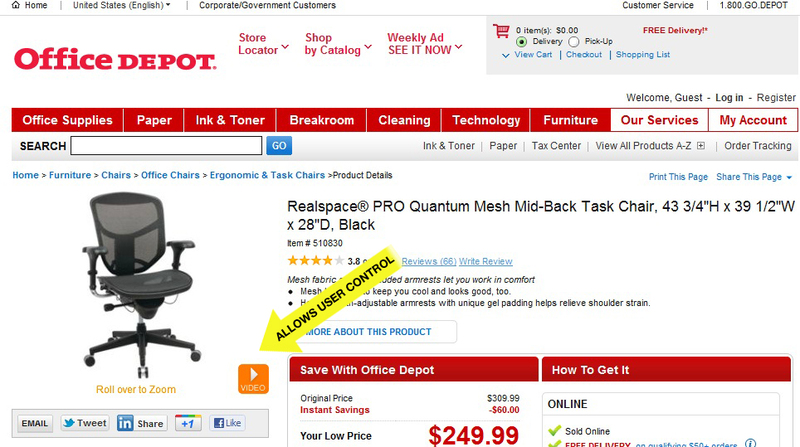 OfficeDepot.com’s recent introduction of video to product pages returned higher conversions. Now, they intend to roll video content out to more product pages. While video integration is a solid move, if executed incorrectly it can quickly morph into a nightmare. Shoppers loathe pop-up ads disrupting their shopping experience; pop-up videos are perceived no better. Many online business owners struggle with the choice of pop-up videos vs user-prompted videos. But, Wu-Lebron and Wax both agree, denying shoppers control of the video disrupts the shopping experience and can be perceived as invasive. In addition to video, Wu-Lebron believes high-quality content is essential to the success of an eCommerce site. “Office Supplies are very commoditized products. So, displaying useful information with the attributes and the value is important. Also, from an SEO perspective, text-based content is imperative to eCommerce sites.” said Wu-Lebron. While Wu-Lebron’s decade of technology and marketing experience at OfficeDepot has uniquely prepared her to confidently lead the Searchandising team, she stressed the importance of not losing sight of the shopper.